Located along Post Oak Boulevard within the vibrant Galleria area, The Manhattan is a 9-story building with neoclassical architecture. The Manhattan features loft-style residences with neoclassical architectural designs and spacious living spaces. The Manhattan is built by Randall Davis, the same developer behind The Astoria, The Marlowe, The Arabella and Chateau Ten condos. FRENCH BEAUX-ARTS ARCHITECTURE: Built by Randall Davis in 2002, The Manhattan features French Beaux-Arts designs reminiscent of New York’s 19th and early 20th century buildings. The loft-style condo units feature Corinthian columns, grand arched openings, arched floor-to-ceiling windows, red brick walls, and balconies. FULL-SERVICE AMENITIES: The Manhattan Lofts features full service amenities highlighted by a 24/7 concierge service. Other amenities include a resort-style pool, a private wine room with a full functioning kitchen, controlled entry access, assigned parking and private storage areas. SHOPPING AND DINING NEXT-DOOR: Located along Post Oak Boulevard, The Manhattan is only a few minutes away from Houston’s premier shopping destinations. The Galleria, the largest mall in Texas, is only a block away from The Manhattan. Hosting more than 24 million visitors yearly, The Galleria has over 375 stores and 30 restaurants. Residents are also near Highland Village and River Oaks District Shopping Centers. 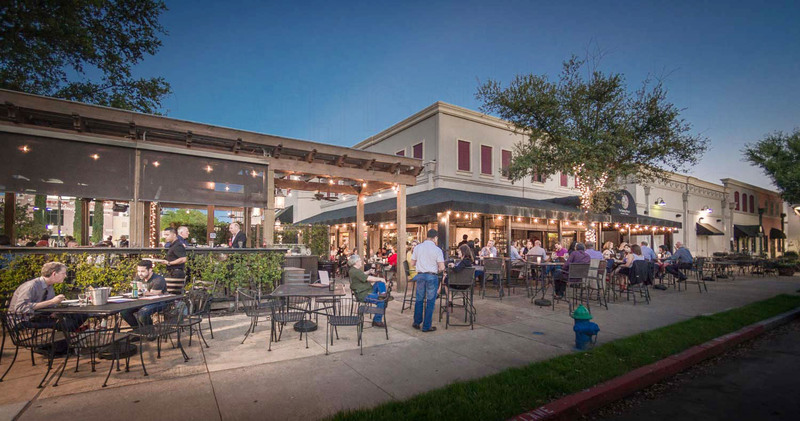 ACCESS TO HOUSTON’S BUSINESS DISTRICTS: Residents benefit from the building’s central location within the Galleria area, one of Houston’s most accessible neighborhoods. The Manhattan is near I-610 and Southwest Freeway, providing direct access to Downtown and Texas Medical Center. Downtown is less than 15 minutes away via I-10 and has 40 million sq. ft. of office and retail space. The Central Business District is home to 3,000 businesses with more than 150,000 employees. The Medical Center is the largest medical center in the world with 54 world-class medical and research facilities. COMFORTABLE LOFT SPACES: The Manhattan has 22 unique floor plans with a spacious loft-type layout. The units’ sizes range from 1,500 square feet to 3,000 square feet. The loft-style residences also feature French Beaux-Arts design and features vaulted ceilings, huge walls of windows, hardwood floors, and interior Corinthian columns. Buying in The Manhattan can be tricky for several reasons. For instance, only a handful of units are listed each year. 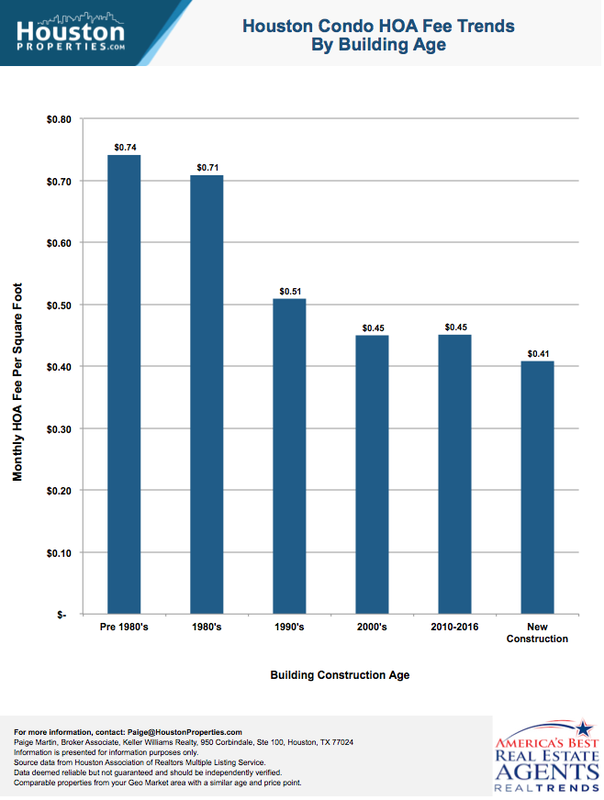 There are also many comparable newer residential highrises within the Galleria area. A Manhattan condo buyer would benefit from a good Realtor’s advise specially on how the building and unit compares to other condos in the area. To get personal advice on buying or selling a Manhattan unit, contact Paige Martin, one of Houston’s best condo Realtors and one of the top ranked Realtors in the United States. Enter your email to get this free The Manhattan guide in easy-to-read PDF format. Bonus: Also see how The Manhattan compares with Houston's most popular buildings. I am interested in The Manhattan and would like to get more details. 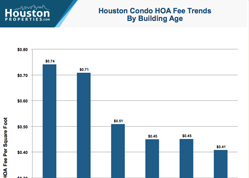 Manhattan Lofts’ monthly HOA fee is one of the lowest in the Galleria area. It covers the maintenance of common building service and amenities including concierge service, outdoor pool, and private wine room with kitchen. 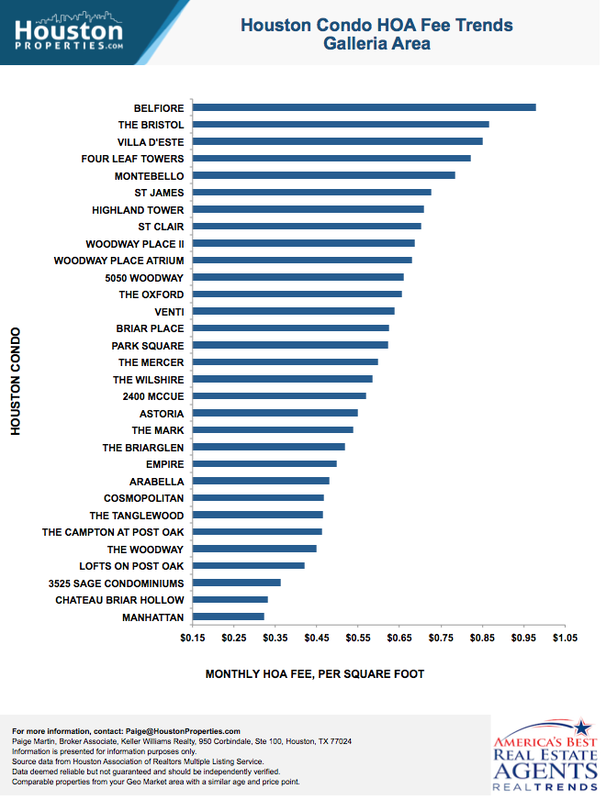 Below you will see how Manhattan Lofts HOA fee compares with other Galleria condos. 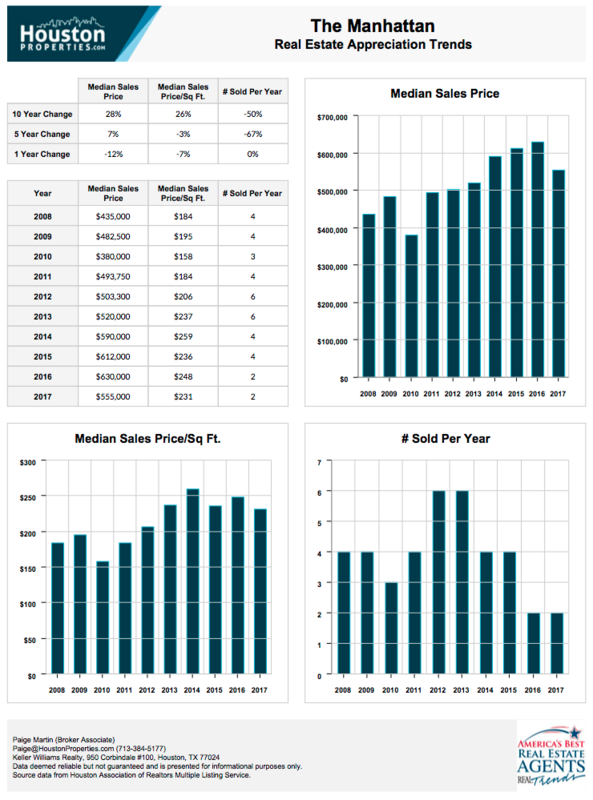 Below you will see The Manhattan’s real estate appreciation trends for the last 10 years. One of the luxury residential buildings in the Galleria area, The Manhattan features unique architecture and great building amenities. Built in 2002, The Manhattan is one of Randall Davis’ residental developments. The Manhattan features French Beaux-Arts architecture reminiscent of New York’s historical buildings. The Manhattan features 9 stories and 63 units. The building is located centrally within the Galleria area. It sits at the intersection of Post Oak and Hidalgo, surrounded by the water wall at Williams Tower. Galleria, the largest mall in Texas, is only a block away from The Manhattan. Hosting more than 24 million visitors yearly, The Galleria has 375 stores and 30 restaurants. Residents are also less than a mile away from Highland Village and River Oaks District shopping centers. The Texas Medical center, the world’s largest medical center with 52 clinical institutions and facilities, is less than 15 minutes away from the building. Housing 3,000 business and over 150,000 employees, Downtown is 15 minutes away from the Manhattan condos. The Manhattan condos features vaulted ceilings, huge walls of windows, hardwood floors, and interior Corinthian columns. Offering 22 unique floor plans, The Manhattan condos feature living spaces between 1,500 square feet to 3,000 square feet. Building amenities include concierge service, an oversized pool and a private wine room with a full functioning kitchen, controlled access assigned parking and storage area. 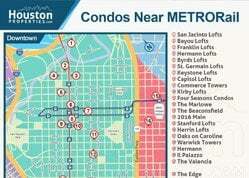 The Manhattan condos for sale are priced between $500,000 to $800,000. The Manhattan is one of Houston’s pet friendly residential condos. The management allows 2 pets per units up to 45 lbs in weight. 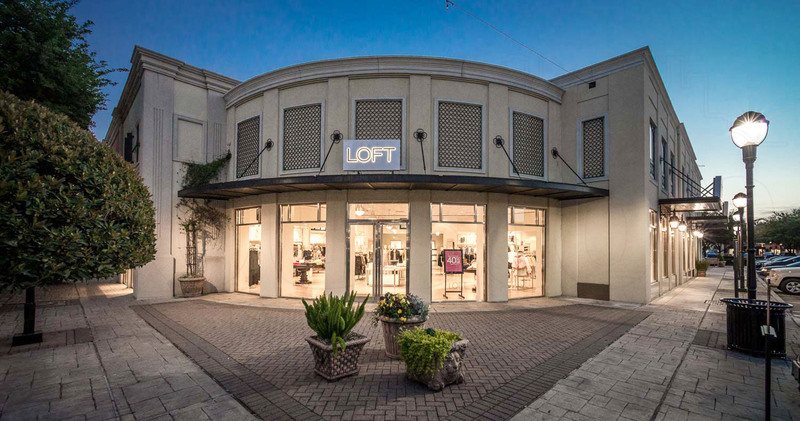 One of Houston’s Most Accessible Neighborhoods, Galleria is located along two major freeways (Loop 610 and Highway 59). Galleria’s proximity to major roads provides residents convenient access to other key Inner Loop hubs. 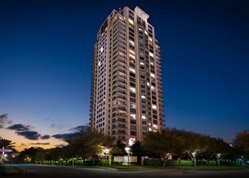 Galleria residents get to enjoy highrise living near numerous world-class shopping and entertainment centers like The Galleria Mall and Uptown Park. Residents are also few minutes away from hundred restaurants, parks, and shops. The Manhattan sits at the corner of Post Oak and Hidalgo within the bustling Galleria area. The Galleria area is located south of the Memorial area and the Memorial Villages, west of Memorial Park and Afton Oaks, east of Briarmeadow, and north of Bellaire. Houston’s major employment centers are easily accessible from Manhattan condos. 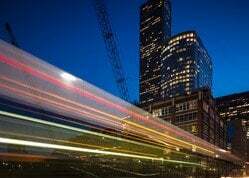 Located 8 miles northeast of the building, Downtown is Houston’s Central Business Center with more than 150,000 employees and 3,000 businesses. Texas Medical Center is located 9 miles southeast of the building and is home to 52 medical and clinical institutions with over 100,000 employees. The Galleria mall, the largest mall in Texas, is only a block away from The Manhattan. Other premier shopping centers near the building include River Oaks District and Highland Village, both less than a mile away. The Manhattan is located within Galleria neighborhood. 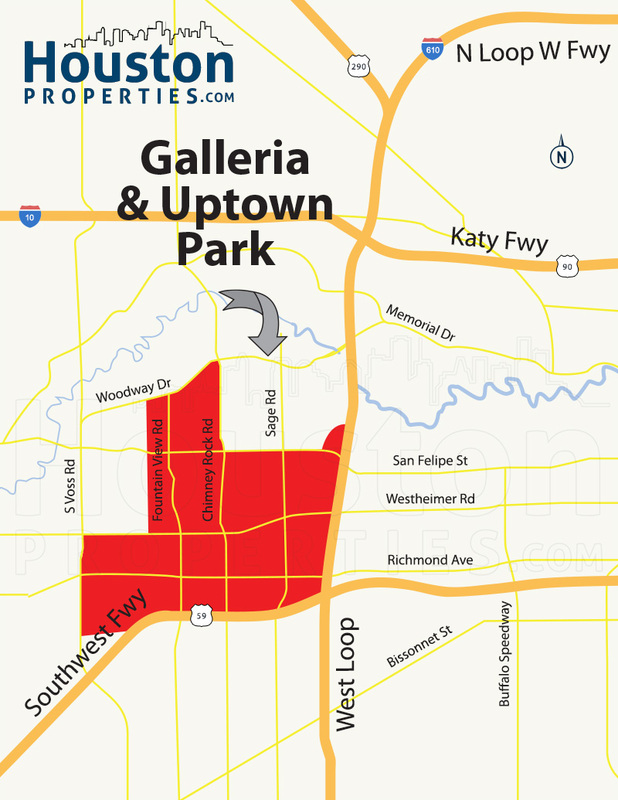 Galleria neighborhood is zoned to the Houston Independent School District (HISD). St. George Place Elementary School at 5430 Hidalgo St. St. George Place Elementary is also one of the HISD’s IB World Schools. It also offers a Vanguard neighborhood program for gifted and talented students, ESL, and special special education programs. 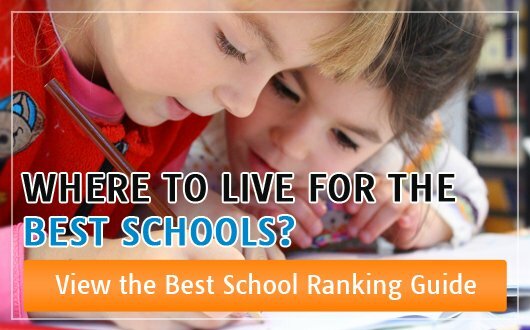 It features various enrichment courses and after school activities. Grady Middle School at 5215 San Felipe St. Established in 1929, Grady Middle School offers several academic programs including core enrichment and Gifted and Talented. Grady also has baseball, basketball, cheerleading, wrestling, volleyball, and soccer teams, among others. Lee High School at 6529 Beverly Hill St. Lee offers an advanced placement curriculum where students can earn college level credits in World History, Macroeconomics, Calculus AB and BC, Spanish Literature, Environmental Science, and Physics B, among other subjects. Paige Martin is one of the most experienced and knowledge condo Realtors in Houston, and has a lot of experience helping people buy and sell at The Manhattan.